To broaden the console's appeal, Nintendo should bring iOS titles to its upcoming system. Financial analysts have been especially brutal towards Nintendo, in large part because they don't think the Wii U can dominate the industry like its predecessor. Whether or not the new system will exceed Wii sales remains to be seen, but there's tremendous potential in the tablet controller, which could offer an experience not unlike the iPad. That said, we think Nintendo's used the 3DS eShop as a test to build a more fully-featured App Store for Wii U, complete with Netflix support, messaging via Swapnote, sports scores and, most importantly, video games. Now as we already know, Mario and Co. will be right there with original titles that take advantage of Wii U, along with ports of classic games from its incredibly deep library, but to attract more casual players, the publisher should take a page from Apple and bring some of the biggest iPhone and iPad games to its console. On that note, here are the most wanted iOS games for Nintendo's Wii U controller. Up until recently, it seemed fans had a better chance of seeing a localized version of Mother 3 than Angry Birds on a U.S. Nintendo system, but that changed the moment Mario creator Shigeru Miyamoto admitted his love for Rovio Entertainment's mobile franchise. Granted, his comments don't confirm or deny the future existence of our feathered friends appearing on Wii U, but come on. 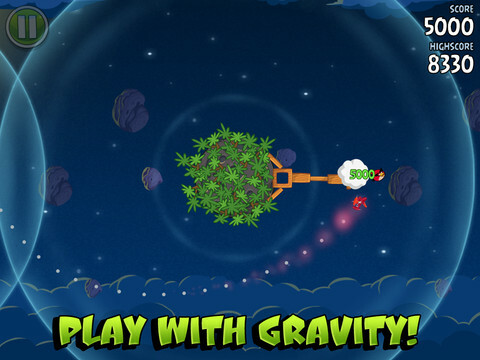 Angry Birds is one of the biggest games in history, and it would be sweet to have the most recent entry, Angry Birds Space, available to play. We have a feeling Nintendo fans would put down Zelda to slingshot birds around planets and through asteroid fields, at least for a little while. 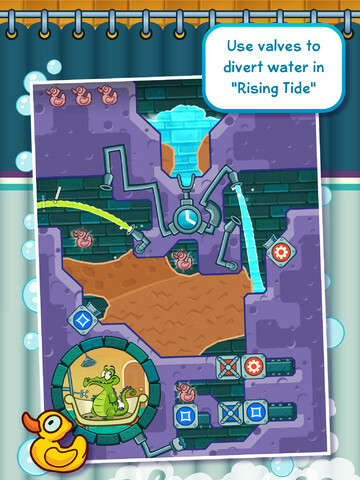 Disney's award-winning puzzler tasks you with figuring out ways to get water into Swampy the Alligator's bathtub via touch, as you clear away dirt to safely guide the H2O to its intended location. Seems like an ideal fit for the Wii U controller, especially with the device held vertically. 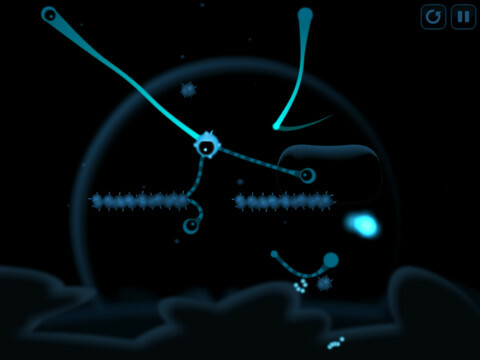 Stylish and beautiful, two words that perfectly describe Chillingo's iOS gem. We fell in love with Contre Jour the moment we laid eyes on it, pulling back on the tentacle creature to send it flying through a gorgeous world while enjoying some of the best music we've heard in an iOS title. Come to Wii U, please. We can't have a "best of iOS" list without including Halfbrick's mega hit. 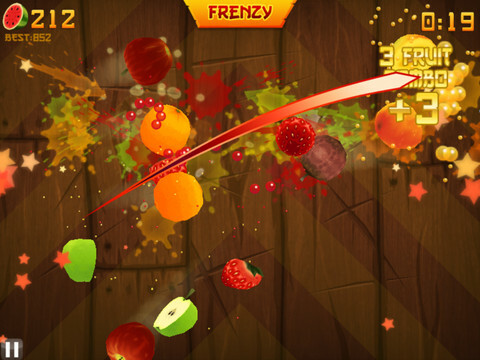 Fruit Ninja stumbled a bit on Xbox 360, no thanks to imprecise movements via Kinect. On Wii U, we see no such issues, since the touch screen and stylus offer pinpoint precision. That'll come in handy for slicing apples, oranges and bananas. Have to admit, Amoebattle took us by surprise. 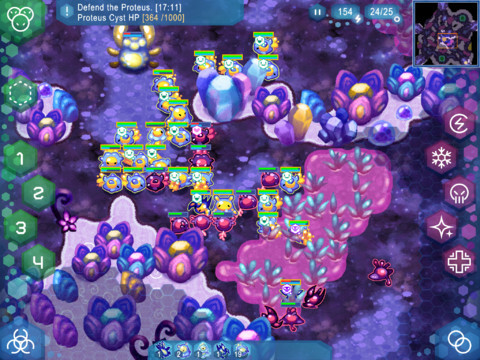 Grab Games' succeeded in bringing a quality real-time strategy game to mobile platforms, one that engulfs players in a microscopic war between different organisms, where the goal is to build an amoeba army to eradicate a nasty infection. Not only is it a ton of fun, but it features graphics that remind us of Super Nintendo and also Game Boy Advance. Yup, it would fit right in with the rest of the Wii U lineup. You can bet the Skylanders franchise will appear on Wii U eventually, and Activision would be wise to bring its recent iOS shooter to Nintendo's machine. 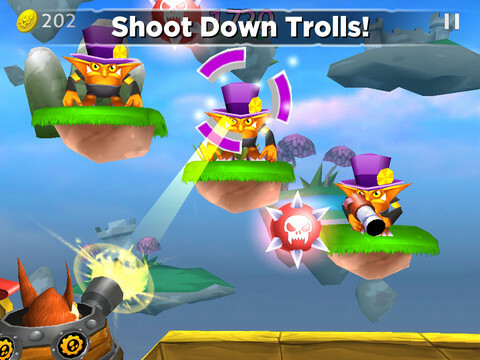 In it, players select their favorite Skylander and blast trolls by tapping the screen while avoiding bombs. Over time, they'll acquire gems that go towards unlocking different characters, along with power-ups to achieve that all-important edge. To our surprise, Cloud Patrol is delightfully addictive, especially when it comes to climbing the built-in leaderboard. Now excuse us while we play a quick round. 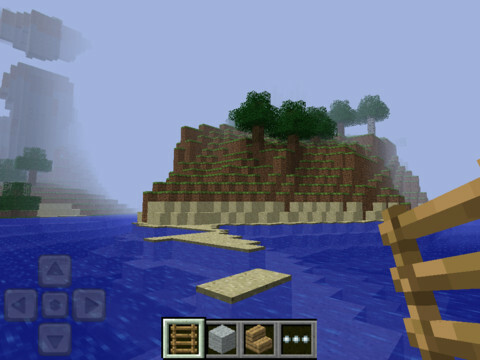 There's no doubt the Nintendo community would flip over a mobile version of Mojang's celebrated PC game, using different tools to recreate Hyrule and the Mushroom Kingdom, among other video game environments. Give them the option to invite friends to wander through these creations, and you're looking at a must have killer app for Wii U right out of the gate. We heard the rumor about Nintendo designing a racer on par with Gran Turismo and Forza. That would be sweet, but until that game arrives, why not bring Firemint's app to Wii U? 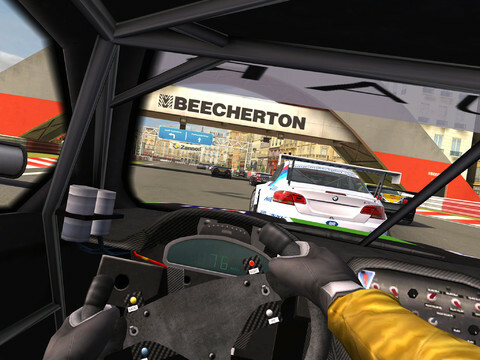 Real Racing 2 delivers simulation-style driving to iOS, with a plethora of real world vehicles and locations, along with a variety of modes and a constant stream of updates. Plus, we could use the Wii U table as a steering wheel, while in cockpit view. Seems like a no brainer. We'll start by saying there's little chance of Draw Something appearing on a Nintendo system due to the possibility of receiving lewd images. On the flip side, we saw our fair share of nakedness on DS, courtesy of PictoChat, and there's no stopping someone from sketching inappropriate doodles using SwapNote. With this in mind, OMGPOP's iOS title would shine on Wii U, as Nintendo fans draw their favorite heroes, be it Mario, Link or Samus. That is, unless Nintendo releases a Mario Paint sequel. 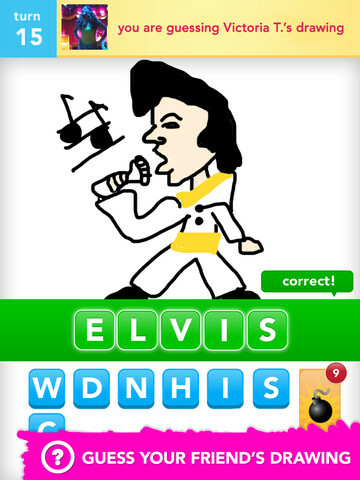 If that happens, Draw Something doesn't stand a chance. 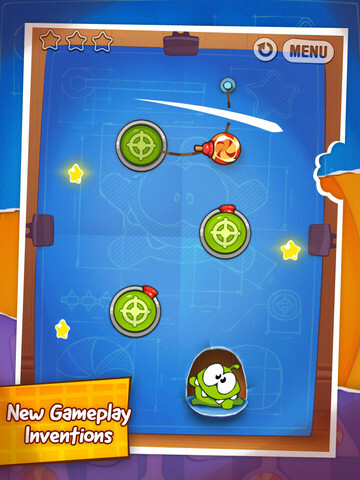 Last but certainly not least, we have Cut the Rope from Chillingo, a puzzle game where players figure out ways to drop bits of candy into the waiting mouth of Om Nom, a lizard-creature with an insatiable appetite. It's been an App Store staple the past few years, always hanging out in the top 20. To have the original, as well as Experiments, on Wii U would increase the system's appeal, no question. If anything, Cut the Rope is a shining example of why there's a possible bridge between iOS developers and Wii U, since you can already download the original on Nintendo DS.